• Two dice with rock, paper, and scissors hand gestures on the sides. 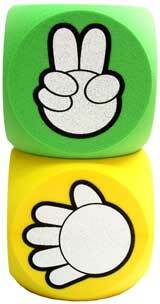 • Each pack has two dice (one green and one yellow, with curved edges). • Made in Taiwan; ST - Safety Toy. 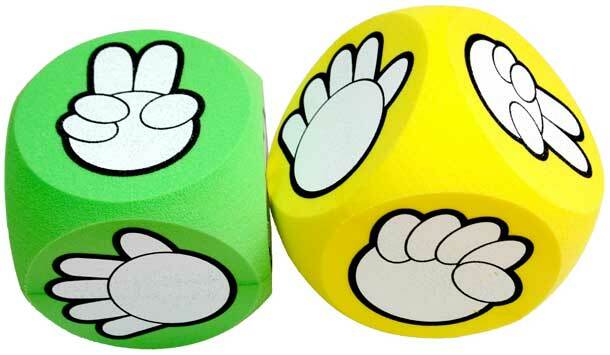 • Kids can use the dice to play Rock-Paper-Scissors (Scissors-Paper-Stone).